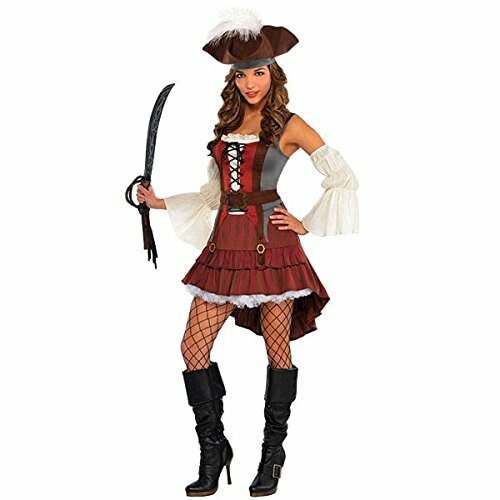 Sail the open seas in search of lost, sunken treasure in a Pirate Captain Adult Costume. 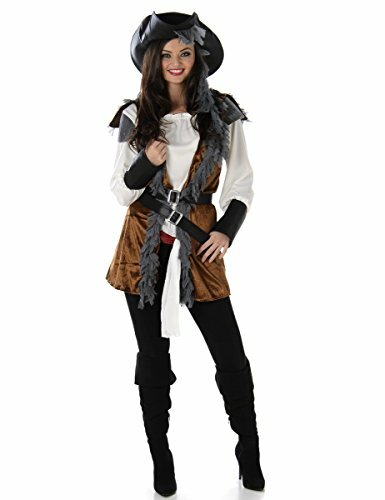 This stylish get-up includes a below-the-knee coat with golden details, a frilly white dickie, a wide faux leather belt with a golden buckle and a hat. 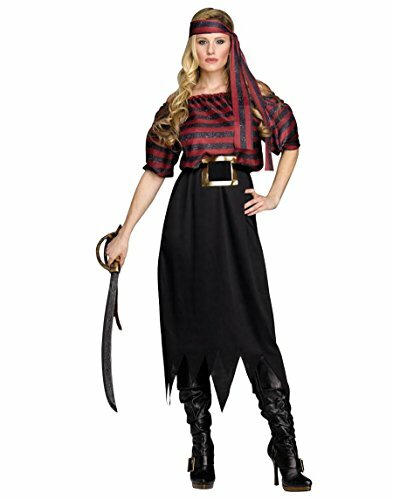 This pirate Halloween costume is made of 100 percent polyester fiber. 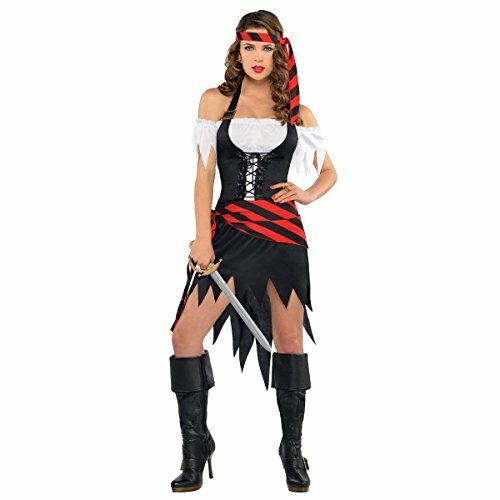 Add a parrot, big leather boots and a hook (not included) to complete your ensemble. 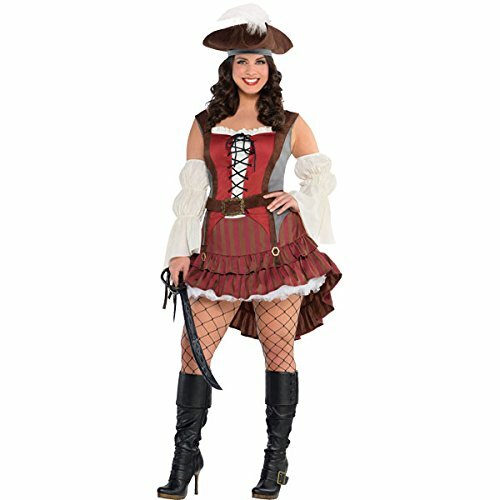 It is an ideal costume for handing out candy to trick-or-treaters or going to the costume party. 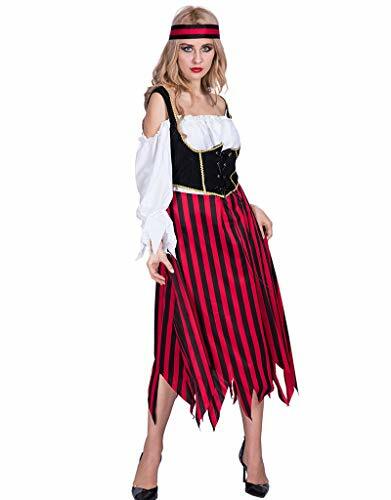 Perhaps you can lead the other party goers in a round or two of a favorite pirate song. 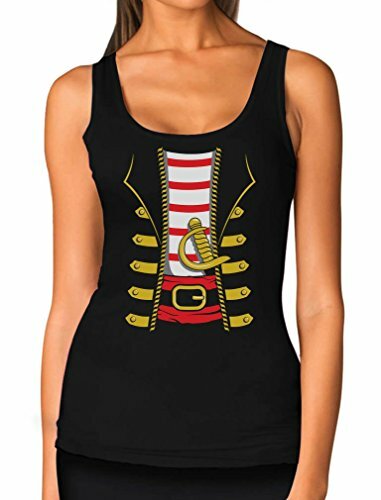 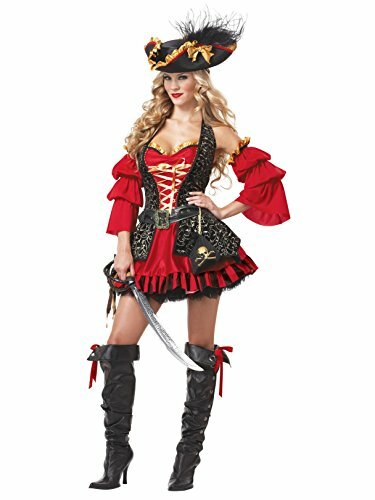 This elaborate pirate captain costume is a fun choice this Halloween.